Musings of a Pertinacious Papist: Catholic and Enjoying It Struggling? ... It is long past time that we abandon the idea of a need to “correctly implement” the council. Its documents, at times orthodox, at other times vague or even apparently contradictory to previous teachings, were designed with flaws capable of being exploited. Its genius is that it cannot be summarily condemned as a compendium of heretical ideas; it would be more true to say that it is a collection of half-formed or ill-stated ones — mixed with enough assertions of authentic Catholic teaching to give the whole enterprise credibility. Remember: a thing needn’t be completely corrupt to present a problem. A house built on sand is still a house – at least until it weakens enough to collapse. What I generally encourage such struggling individuals to do is to insulate themselves a bit from the "culture wars" being waged within the Church right now, to sequester themselves within the serene walls of Catholic tradition and immerse themselves in the writings of the saints or Church fathers. It can be a real tonic. One's personal spiritual life, or that of one's family, can be no less rich and satisfying than that of Catholics who lived at any other time in history. 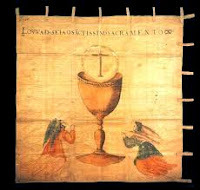 The foundation of the Church remains unmovable, because it is Jesus Christ Himself. 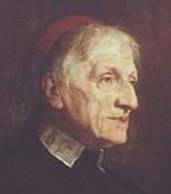 But just as Cardinal Newman once said that "to go deep into history is to cease to be Protestant," so I would say that in times such as ours "to go deep into history is to escape our present turmoil." At least, it is to put everything in proper perspective. This is not a matter of simply escaping the present by delving into the past. Rather, it is like digging beneath the present confusion to find that the foundation of the Church still intact -- and the Church Triumphant very much alive, a "cloud of witnesses" watching on as the Church Militant runs its race (or fights its battles). A reading of the Imitation of Christ is a good antidote to exposure to a modernist Church. Very well said sir. This is the tonic I have gone back to time and again, both to escape the present turmoil as well as find peace from my own sins and struggles.